Nord Gearboxes-Official agents for all your Nord Gearbox requirements. We are official Nord Gearbox Distributors & Drive Partners. We can specify the full range of Nord Gearboxes & Nord products in your new drive or supply replacement nord units and spares for your existing application at competitive prices. Nord Unicase Foot mounted Helical Geared motors. Helical units available as foot or flange mounted units with motors or speed reducers. Nord Unicase parallel helical shaft mounted units. All the Nord Helical Gears are hardened & gear ground as standard to help with noise reduction & smooth running. Nord Unicase Helical Bevel Gearboxes. Nord Nordbloc Helical Bevel Gear units. Nord Helical Bevel & Helical worm units can be supplied with Nord dedicated motors or with an IEC motor. Right angle units are available with a solid output shaft or as shaft mounted Gearboxes. Nord universal Worm Gearboxes & geared motors. NORD produces frequency inverters and servo controllers for the necessary power electronics Inverter solutions are available both for classical installation in switching cabinets as well as for decentralised and fully integrated drive units. NORD Electronic Drivesystems has developed and producted electronics components since 1984. Profit from our many years of know-how with innovative products and great flexibility. 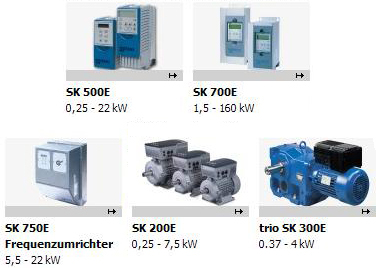 Our product range includes electronic motor starters, frequency inverters and servo controllers from a single source. Nord Gearboxes & Drives offer a quality solution to your drive requirements. Our Nord partnership has gone from strength to strength over then last 16 years & with full factory support we can satisfy your needs. Here at Parker Engineering we can offer the full range of Nord Gear products, so please give us a call to discuss your requirements or email us at the address below, we'll be happy to help.